Looking to tidy up your garden? From lawn mowing to hedge trimming, we’ve got it covered. Our specialist gardening equipment can deal with a wide range of issues in a speedy and efficient manner, leaving you to sit back and enjoy the result. At Garden Tone, we also hold a PA1 and PA6A spraying licence to kill off all those unwanted weeds. We’re happy to take on small and large gardens for both domestic as well as commercial clients and all work is done to the highest standard of safety and workmanship. 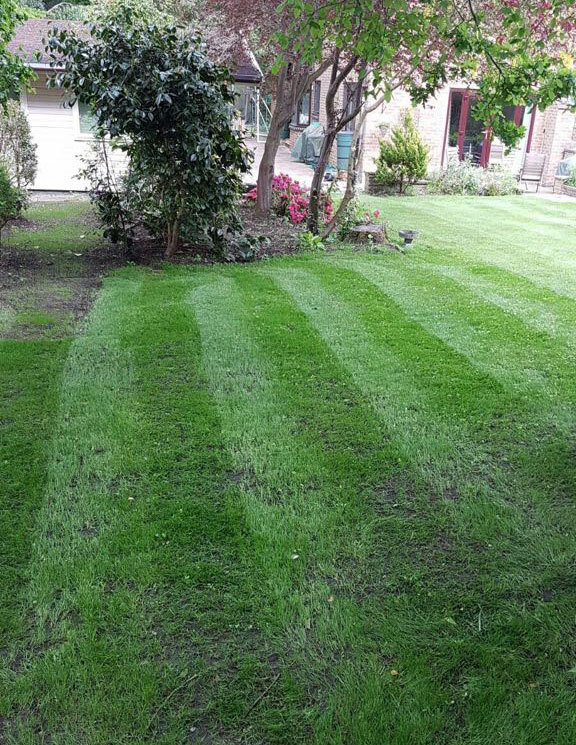 For more information about any of our general garden maintenance services including lawn treatment and patio jetwash, please contact us today. We’re happy to conduct a wide range of garden maintenance services including lawn mowing and hedge trimming.